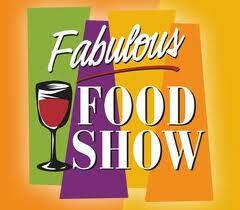 Win a Spot at the Fabulous Food Show! I've got a "fabulous" and unique giveaway for one lucky person this week. One of our city's own acclaimed authors, Laura Taxel, will be partnering with Dianne Jacob to offer an interesting workshop at the upcoming Fabulous Food Show at the IX Center. The 5th annual show is being held from Friday, November 12th through Sunday, November 14th. Taxel's session is closed for chefs and other industry professionals on Friday, but the Saturday session is open to the public. And...they have generously reserved one spot at the Saturday session for a Bite Buff reader! Do you dream of writing a cookbook or blog? Award winning food journalist and author of Cleveland Ethnic Eats Laura Taxel, and writing coach Dianne Jacob, who's book Will Write For Food is the definitive and highly acclaimed guide to all forms of culinary writing show you how. They are leading workshops on Friday and Saturday morning, November 12 & 13 at the Fabulous Food Show in Cleveland Ohio. Get practical tips and real world guidance on getting started, doing it well, and what it takes to get published and get readers. The interactive 2-hour sessions will demystify the process of writing and selling a book and explore the pros, cons, and steps for launching and maintaining a food blog, plus advice on how to improve your food writing skills. The Friday workshop is strictly for chefs and other professionals. The Saturday version is for the general public. Tickets are $50, include all day admission to the Show, and must be purchased in advance. More info about the presenters and the class on the show website. So you can learn "tips of the trade" from experts, improve your own writing skills, and increase traffic to your blog- all while enjoying a pass to the Fabulous Food Show! 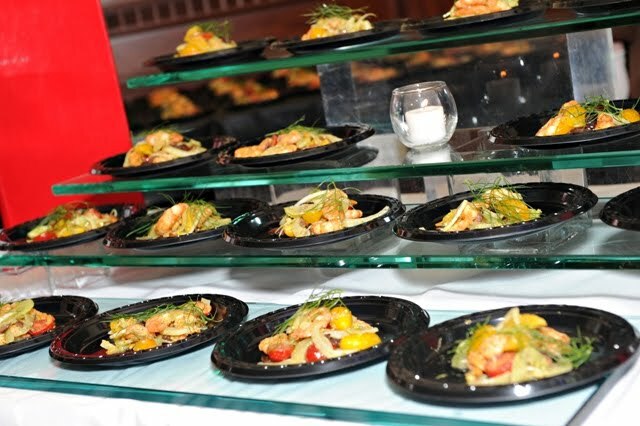 If you have never attended the show, I've heard that it is a foodie's dream. You can learn cooking techniques from world-renown chefs (including our own Michael Symon), collect recipes, shop, and of course...sample fantastic food and wine. All you have to do to win the pass to the Fabulous Food Show and the spot in the Saturday workshop session is leave a comment on this post expressing your interest. I'll pull a winner on Tuesday, November 2nd. Good luck! Hello readers! Well you are in for a treat over the next few weeks. I finally had surgery on my lower back yesterday (nothing scary, I'll be fine), and will be recovering at home for about a month. So a few of my fabulous fellow bloggers have offered to step in and keep you entertained. I know that you will enjoy their guest posts, because these fantastic bloggers are ones that I keep up with regularly in my blog roll and I always look forward to what they post! I've also got some great posts planned (including a fun giveaway for a session at the upcoming Fabulous Food Show), so stay tuned for some posts from me and enjoy reading the guest posts as they come in. Greetings from Parma! 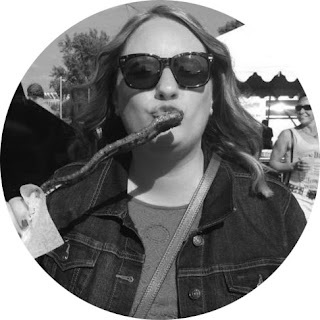 I’m Alicia from Poise in Parma, another Cleveland food blog. There you’ll find my ramblings about finding that elusive “balance” we all seek in life – and in my case – work, blog and dog. If you are a frequent reader of Bite Buff or Poise in Parma, you know we enjoy attending local culinary events. In many ways, we’ve become quite the experts on the strolling food and wine fundraiser! Today I’d like to share my tips on how you too can make the most of these foodie and wine lover extravaganzas. DO get there early. If the event starts at 6:00PM, arrive on time to avoid the valet parking rush and to get a jump start on the freshest tastings. DO NOT forget to arrange how you are going to get home, especially if the emphasis of the event is more on the beverages. Either decide who in your group will DD, or arrange for a ride home before arriving at the event. You don’t want to remember this evening for the side trip to the police station on the way home. DO scout out the participants. In that venue, there is an event planner somewhere that spent FAR TOO MUCH time on an event program. Do these poor folks a favor and actually READ the listing of participating restaurant and beverage providers. Create your “must eat and drink” list early on in the evening. You’ll be better prepared because of it. DO NOT automatically grab the first piece of food or glass of wine that you see. I understand that you are hungry because you starved yourself to “save up”. (HUGE mistake, by the way.) Since you’ve check out who’s in the room, head to your “must have” participant first, then work the room accordingly. DO be selective and remember your previous experiences. Say you dined somewhere before and had a horrible experience with their product. Why would you waste the time and stomach space for a sample of their lame excuse for a sample? Instead, take advantage of the restaurants and beverage providers that you haven’t had the opportunity to enjoy. DO NOT feel obligated to finish anything if it doesn’t taste good. I’m not saying spit it out in front of the person who served it to you. If after one bite you decide that it was enough, just dispose of it. There’s probably something else in the room that you’ll like better and will enjoy more. DO go back for seconds after you’ve made your first round. If something is THAT good, take advantage of your situation and enjoy it. Don’t get greedy – limit it to two visits. Any further consumption of their food need to be made at their restaurant. DO NOT “hog” a popular chef with unnecessary, drawn out conversation. You’re a foodie – we understood that when you purchased tickets for this event. But so am I, as well as the other few hundred folks here. Don’t be selfish. Remember there are others that may have a quick question to ask. If you want more time with them, come back at the end of the event or, better yet, reserve some seats at their chef’s table for next weekend. DO know when to call it a night. Are you starting to feel a bit wobbly? Did you already unbuckle your belt an hour ago? Unable to tell the difference between the two red wines you are drinking? Time to head out. Don’t be THAT GUEST that stayed WAY TOO LATE and became the laughing stock of the Northeast Ohio society pages. Instead, head home as you earned the right to enter a food/wine coma. By following these tips, you too will survive AND enjoy all that our lovely region has to offer! For more fun Cleveland themed food posts, stop by Poise in Parma! I promise it’s more than just pierogies and flamingos! Thanks, Alicia for the guest post! If anyone else out there is interested in doing a guest post while I am out of commission, please feel free to contact me. I started out my Beer Week (BW) celebration by having dinner and drinks with two friends at Market in Rocky River. They were pouring several special brews in honor of BW. This beer-inspired establishment is a great place for a wine-lover like myself to dive into the wonderful world of beer. I ordered my first ever pumpkin beer, and really enjoyed it! BW also motivated "R" and I to host our own stay-at-home beer tasting on Thursday night. We were in the middle of making dinner, and all of a sudden had a craving to sample some fall-inspired beers. "R" ran to the store and picked up two different Octoberfest beers and a pumpkin beer to satisfy my new-found love. We happily sipped on all three while finishing dinner and then playing some board games. It was a fun evening spent at home. Friday evening brought Ales on Rails, a beer tasting featuring 7 breweries and a box dinner provided by the Winking Lizard aboard the Cuyahoga Valley Scenic Railroad. We stumbled upon friends on the train that we didn't know were attending, and the four of us thoroughly enjoyed ourselves on the trip. The brewery representatives were all enthusiastic and informative as they interacted with the passengers. I can't remember all of them, but we sampled brews from Thirsty Dog, Ithaca Brewing Company, and Sam Smith. My only complaint is that the event started at 6:30 p.m. and it gets dark quickly after that this time of year. So we really only had about 30 minutes of the three-hour ride to enjoy the gorgeous view of the valley. Saturday night was the second annual BREWzilla. This year, the event moved to the Galleria at Erieview and took over the entire space. 51 different breweries were stationed around the mall for all general admission guests to enjoy. Each brewery was pouring several brews, so the options were almost overwhelming. You can see from above that my good friend Sam Adams was in attendance (we're related if you go back through my family tree!). "R" was all about the stouts, so we HAD to find each and every single one. I just attempted to find a few lighter beers along the way. I was hoping for a few more wheat beer options (yes, I know that summer is over), or additional pumpkin beers and Octoberfests, but a hop-head would have been in heaven. I know that "R" certainly was! It really was a nice event, and a great opportunity to push myself to try some new types of beer and discover great breweries from around the globe. I think that I will be a little more adventuresome in my beer selections now, and I am already looking forward to Cleveland Beer Week 2011! What did you do to celebrate Beer Week? What was your favorite event? Last night, I finally stopped in at Marlin Kaplan's newest culinary venture- Roseangel. Located in the Detroit Shoreway neighborhood, just down the street from his other well-known restaurant Luxe, it took over the space that was formally La Boca. The restaurant's decor is warm and playful. The soft lighting, color scheme, and artwork all lend a hand in creating a very inviting and cozy space, and then the polka-dot tables, bubble glassware, and fun T-shirts that the staff wear all show the playful side of the restaurant. I instantly liked the atmosphere. I also liked their happy hour deals. A few select (and more basic) tacos were about half off at $2.25, and the classic margarita was Buy One Get One Free at $6.75. Other drink deals were available as well. My friend and I settled in with an order of the guacamole and a margarita for each of us while we waiting for our other friend to arrive. The meal started off on a high note. 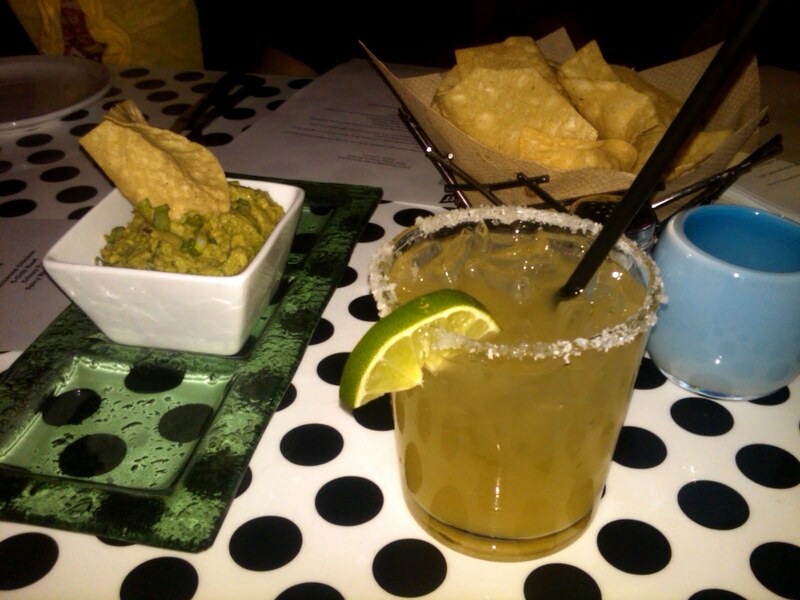 The margarita was small but strong, and the guacamole and chips were very good. I have to say that the guacamole was no where near as good as Momocho's, but it was certainly fresh and creamy. Unfortunately, then the meal took a turn. Once our other friend arrived, we each ordered two tacos. I selected the Duck Confit soft shell taco, and the Seared Tuna soft shell taco. All of the happy hour tacos are served on a hard shell, but when ordering off of the regular menu you have a choice between the two types of shells. I am a soft shell girl through and through. They each arrived completely overflowing, and there was no way that I was going to able to pick up and eat the overstuffed taco as it was served. This meant strategically taking a few forkfuls without sacrificing any of the ingredients, so that when I was able to pick it up- I didn't lose any of the flavor combinations. The seared tuna taco was very cold and extremely bland. I really don't think that I tasted any flavor or seasoning at all, just the house-made flour tortilla. I had been really excited to try this taco after having a similar version at Momocho about a year ago. This was no Momocho tuna taco, that's for sure. I quickly tried to scarf it down and moved on to the duck taco. This was a much better taco, with slightly more flavor and a huge gob of delicious, creamy goat cheese on top. I won't say that this taco was really that good- it just was a refreshing improvement over the tuna taco so I was pretty happy at that point. I think the tacos were overpriced for the size and quality (or lack there of) that we received, and I couldn't help thinking of how wonderful Momocho's taquitos are in comparison. Diners can't help but compare the two similar restaurants. They both boast to serve high-end tacos, classic Mexican dips and starters with an upscale twist, and of course...margaritas. It is my opinion that Roseangel has missed the mark, and isn't even in the same league as Momocho. With their locations not that far from each other, I could see Roseangel struggling if they don't fix some of their initial issues with the food. I never like to end on a bad note, so let me tell you about the best part of the evening- the White Wine Sangria. I think that I may have fallen in love a little bit. Served with fresh lemon and lime wedges and a strawberry garnish, this drink was crisp, light, and FAN-TAS-TIC. Some of the starters on the menu looked interesting and the white sangria is reason alone to go back, so I think that I will. I just won't be ordering tacos anytime soon. So go for the drinks and the atmosphere, just don't have high hopes for the food and you won't walk away disappointed. Hopefully they are still working out issues from their opening, and they will be corrected as the restaurant continues to grow. 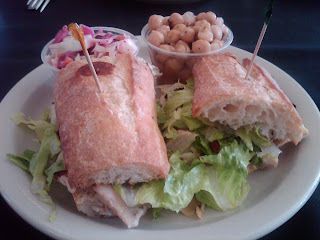 Want to read more about this delicious sandwich and a small local cafe that is giving back to the community? Then check out my guest post over on Allison's blog- Green Dog Wine. 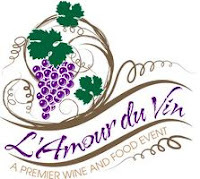 Last night, I attended the 13th Annual L'Amour du Vin event to benefit The Arthritis Foundation, Northeastern Ohio Chapter (thanks to winning tickets on Dave's Live to Cook at Home blog!). The food and wine event took place at the Avon Oaks Country Club, featuring 13 restaurants and businesses from Lorain County and Cleveland's west side. It was a great opportunity to try several restaurants and caterers that don't typically participate in tasting events held in Cleveland. A couple of the dishes that stood out were from AMP 150 (of course), Jake's on the Lake/Savannah Bar & Grill (hello delicious Chicken Paprikash and home-made mini pierogi), and the winner of the evening in my opinion - Flavor the Town. Flavor the Town actually served three different dishes, so I felt that I got a good sense of the quality of their food. The creamy, rich artichoke dip with toasted pita chips, crispy risotto ball, and beef crostini were my top three samplings from the event - and all from the same vendor. That says something. I have a small upcoming event that I need a caterer for, and Flavor the Town just got added to the short list of vendors that I will be asking for a quote from. I was really impressed with their dishes, and the staff was pleasant and helpful. So not only did I have the chance to sample some great wines and dishes last night, but it looks like I found a new vendor to work with! It's time to pull a winner for the two general admission tickets to Cleveland Beer Week's BREWzilla event! Thank you to everyone who entered the giveaway - you had some great beer suggestions. I am going to head into Beer Week with an open mind (mouth?) and dare to try some new brews. I will certainly have the opportunity to do so. BREWzilla brags that it is the largest beer tasting event in Cleveland - featuring 80 breweries. This "Monster of a Beer Tasting" is taking place on Saturday, October 23rd and one lucky winner will be attending! Congratulations to lucky #19 - Sarah. I selected the winner using random.org. Sarah, I'll be in touch via email. Hope to see you there! For those of you that did not win tickets through this blog, but you would like to attend - head over to their website and purchase tickets. I think this is one Beer Week event that you shouldn't miss! Beer Week has given a few of us the opportunity to win a Happy Hour party at the Barley House for 20 guests. If you type in "Bite Buff" or "Bite Buff sent me" in the notes section during check out, you can help me win! Thank you again to everyone who entered the giveaway. Don't forget to check out all of the great events taking place during Beer Week. Between beer tastings, beer dinners, keg tapping, and other special events - there is something for everyone. If you do attend BREWzilla or Ales on Rails, make sure that you say hello! Cheers. The second annual Cleveland Beer Week is just around the corner. "What's that?" you ask. Cleveland Beer Week celebrates our city's love and curiosity for craft and import brews by featuring tastings, beer dinners, activities, and special events at more than 100 venues across our city. There are a ton of events happening every day from October 15th - October 23rd. Check out a full list here, and check back often because updates will be added. One lucky Bite Buff reader will win two tickets to the official closing event of Beer Week- BREWZILLA. BREWzilla takes place on Saturday, October 23rd from 6-11PM at the Galleria at Erieview in downtown Cleveland. The event wraps up the week by featuring crafts and brews from over 80 breweries. Food pairings are included, courtesy of Heinen's and the Winking Lizard. General admission tickets are now $50, which includes a tasting glass, 25 taste tickets, unlimited food, and admission from 7-11PM. All proceeds benefit the Malone Scholarship Fund. You can purchase tickets here, or enter to win two tickets through my contest! 1. Leave a comment on this post telling me what your favorite "different" beer is that I should try. No Miller Lights here please! 2. Tweet about this contest on Twitter, and leave another comment on this post letting me know that you did. 3. Become a fan of Bite Buff on Facebook, and I'll enter you to win. I'll pull a winner on Wednesday, October 6th. Make sure that you leave an email address or another way to contact you in your comment. Good luck! Raaaaarahhhhhh (that was inspired by the "zilla" hehehe).